Previous posts have described the undoubted epidemic of coronary heart disease (CHD) in the UK and in the USA, its appearance immediately after 1924 in other than rare case reports, its exponential increase, its peak in 1970 in the UK, and its rapid and exponential decline, 80% by 1990, 95% by 2010. It has been responsible for the premature deaths of ten million people in the UK alone. Its almost complete disappearance has had a major impact on the population profile of the UK, and now twice as many men live beyond the age of 85 years compared with 1968. 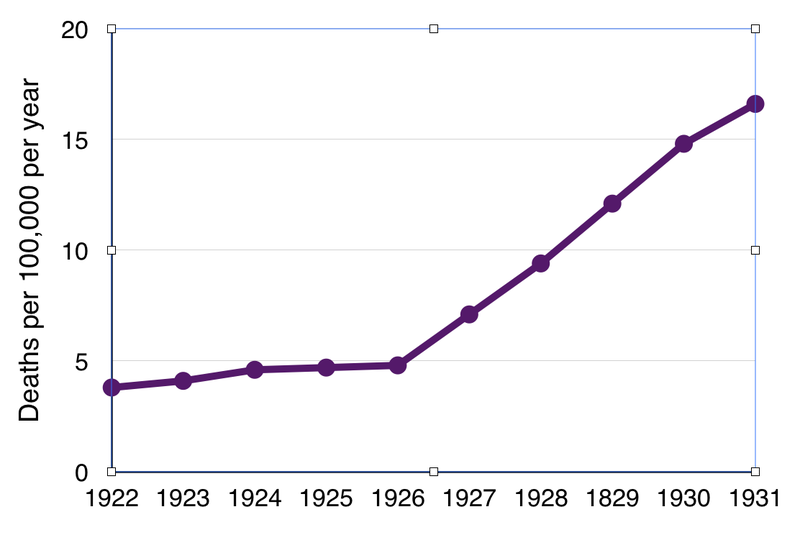 There is an exponential increase in the centenarians in the UK. Looking with the cold mind of objectivity and economic idealism, CHD was actually a very convenient epidemic. The disease process itself started in early adult life, with its clinical manifestation appearing between two and five decades later. Most of those who died from CHD were men. 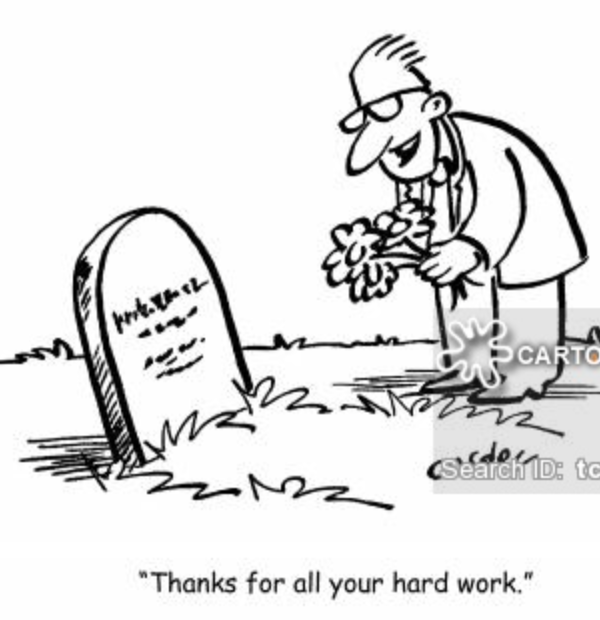 Some died during their working lives, but the majority died shortly after the normal age of retirement at 65 years. They therefore contributed fully to the national economy, they paid into pension schemes, and they then died suddenly and therefore cheaply, having taken little out of their pension funds. This might sound callous (I will avoid the description of “heartless”) but it is factual and it explains some of the problems that are appearing now that the epidemic has come to an end. We are a time without pestilence. More people, and especially men, are living many years longer, and the longer lives can be seen in the figure above. They are expecting pensions to continue at previous rates for perhaps thirty years rather than ten. They (we) are now not just living longer but dying more slowly, and this is putting serious strains on hospital beds, and health and social services in general. The dramatic decline of deaths from coronary heart disease has increased the average life expectancy, with a large increase in the number of very old people, but it has had an inevitable effect on retirement pensions. But what has been the cause of the epidemic? Why did it suddenly emerge? Why did it spontaneously decline to such a major degree, perhaps to disappear completely in the near future? The cause of CHD can hardly be viewed as the good life, but despite the depression, life was arguably better in the USA than in Europe. There are also congenital abnormalities, which are maldevelopment, a form of injury, that might occur rarely and unpredictably in isolated individuals. There are other forms of injury occurring at various ages. These are not “diseases”, as this would imply a condition that occurs suddenly or which is progressive, with disability or deterioration that shortens life. In respect of CHD we need to look at these in turn and objectively, without starting out with a conclusion. There has been a lack of objectivity during the past 50 years, since the epidemic was identified. 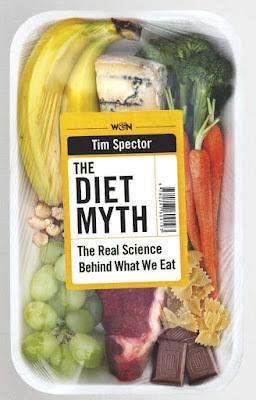 We must remember the vital discovery of ignorance and we must avoid jumping to popular conclusions, assuming God or the new god of diet to be the cause of disease. There is no question that CHD runs strongly in families, and indeed a strong family history is the most powerful risk factor, far more powerful than cholesterol. But this does not equate to genetic transmission. Tuberculosis ran in families equally if not more strongly. It was thought to be “constitutional”, effectively meaning inherited. Perhaps it was, but inheritance was in the form of the causative micro-organism, passed on at some stage after birth. Syphilis was also strongly familial. It could be passed from mother to child across the placenta (congenital syphilis), or between siblings by close rather than by sexual contact. At the present time a great deal of progress is being made concerning our inheritance of micro-organisms, especially from the mother, which might be trans-placental, during the process of birth, and during the first few years of life. There are other forms of inheritance other than genes and micro-organisms. They include religion, location of domicile, education, money, housing, perhaps diet. All these have an influence on CHD (through mechanisms that are far from clear) but they cannot be responsible for such an epidemic. These factors might influence susceptibility but they cannot be regarded as the cause. The familial incidence of CHD is variable but can be very high, much greater than a Mendelian pattern of inheritance. CHD can be present in all family members. But of the greatest importance is that an epidemic can never be the result of genetic factors. The spread of a new genetic mutation takes many generations, and there were only two generations between the onset of CHD and its peak. The bacterium E coli might have 70 generations per day, allowing rapid evolution of a mutation, but 70 human generations would take 2000 years. 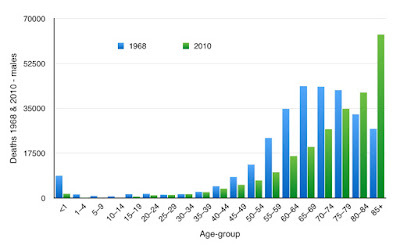 Another nail in the coffin of the postulated genetic cause of CHD is the rapid decline after 1970. A genetic mutation can appear, but it can most certainly not disappear in the way of CHD deaths, not as adult deaths. There is the genetic condition of familial hypercholesterolaemia (FH), in which there is a high level of cholesterol in the blood. This predisposed to early CHD death during the 20th century. However as I have described previously, the genetic abnormality (mutation, polymorphism) was not new, and it is very important to acknowledge this. In a well-researched family with FH in the Netherlands, there was a very distinct health and survival advantage during the 19th century, but this was before the epidemic of CHD. During the epidemic of CHD the family members with FH experienced a reversal of fortune and were subject to premature death. This was factor of susceptibility to CHD or increased severity of it. FH cannot be regarded as the cause of the onset and decline of the widespread epidemic. 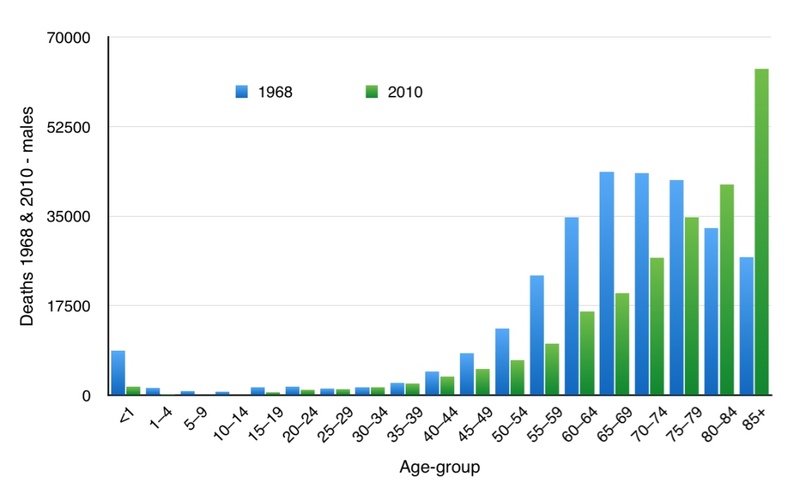 Only a tiny (but well-studied) minority of those having and dying from CHD had FH. CHD is not and cannot be regarded as a genetic disease. The proposal of CHD being caused by psychological factors (never clearly defined) has had strong proponents. Generally “the mind” has been attributed to be the cause of a variety of diseases when ignorance has been the truth. But honest acknowledgement of an absence of knowledge leaves a vacuum to be filled by variety of wild guesses. It was so often assumed that a hard-working business executive who experienced or died from CHD, specifically from myocardial infarction, did so because of the psychological damage resulting from hard work. 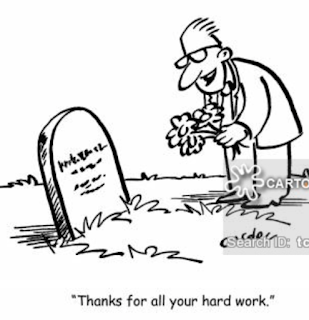 “He worked himself into an early grave” was often heard. When good quality epidemiological studies were undertaken it was clear that those most at risk from early death from CHD (and almost all other causes of death) were the long-term unemployed. There is simply no evidence that psychological factors cause disease as a pathological process. They can however influence the progression of the illness, an individual illness that is influenced by personal factors. In respect of CHD, psychological factors can precipitate acute myocardial infarction (MI) or death, but only in someone who already has advanced disease. These can be called “acute excitable states”. An excellent example occurred on a national scale on June 30th 1998. This was the day in which England played in the quarter-final of the World Football Cup, and lost to Argentina in a penalty shoot-out. On studying retrospectively hospital admission statistics, there was found to a 25% excess of admissions to hospital on account of CHD on that day and the following two days. This is considered to be the result of over-excitement of those with sub-clinical but advanced CHD who were watching the television on that day. Although the psychological factor might have brought forward clinical expression of disease or even death by a few days, psychological factors could not have been responsible for the disease itself. Furthermore, although mass hysteria might produce a health problem on a given day, psychological factors cannot be considered to be responsible for the rise and fall of an epidemic during the course of almost a century. There is no obvious explanation of a psychological cause or mechanism of either the rise or fall of the epidemic. There is no question that a natural physical event such as an earthquake can cause a large number of deaths, but these are mainly sudden and they cannot be classified as disease, even though disease can cause deaths as a secondary process. Global warming might be responsible for large numbers of deaths in the future, but there will be more specific causes of those deaths. “Global warming” would not be acceptable on a death certificate. Physical causes of death include extreme cold (hypothermia) or excessive heat (hyperthermia), extreme deprivation of water or food, major trauma or drowning. But these are applicable to individuals. Even on a large scale, such as an earthquake or a tsunami, an epidemic is not an appropriate term if there is no disease. Physical factors cannot explain an epidemic that took 45 years to reach its peak and then another 45 years to virtually disappear. Chemicals can certainly lead to large numbers of deaths over a long period of time – think of severe atmospheric pollution, reaching its peak in London in about 1953, but still on the increase in many cities of the world. However the actual cause of death was mainly the specific disease of chronic bronchitis. Atmospheric pollution is a serious risk factor for CHD: death rates are greater in inner city areas compared to rural areas, and death rates are lower with residence at high altitudes. Atmospheric pollution was the norm in industrial cities a century before the onset of the epidemic of CHD. Death from CHD can occur in the presence of clean air and “poisoned air” cannot be regarded as the cause of the epidemic. Cigarette smoking must also be considered as a possible chemical factor causing the epidemic of CHD. Cigarette smoking certainly increased after World War 1 and many fewer people smoke now. However, as explained in a previous Post, cigarette smoking can only be regarded as an accelerating factor of CHD and not its cause. 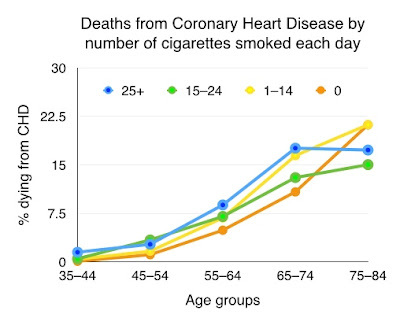 In the landmark study of doctors (modern studies are no longer possible), 20% of heavy smokers died from CHD but also 20% of non-smokers. 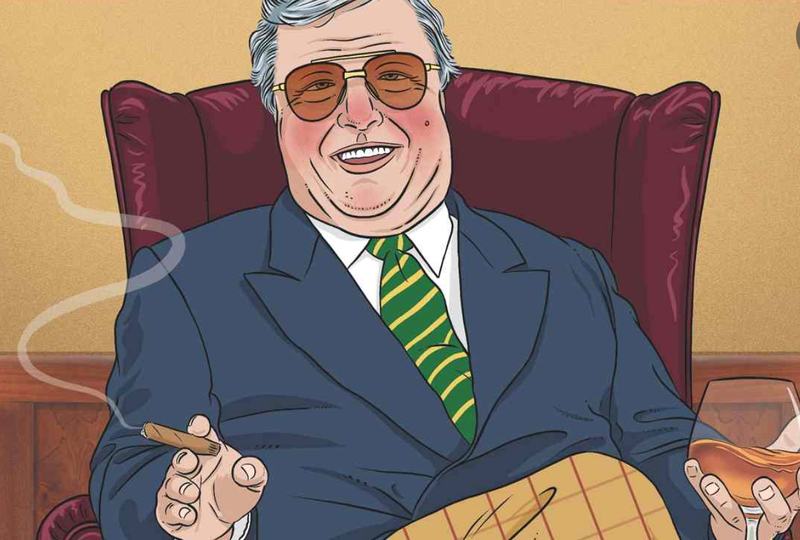 In heavy smokers the deaths occur on average ten years earlier, and at the age of 50 twice as many heavy smokers had died compared to non-smokers. Cigarette smoking cannot be the cause of the epidemic of CHD, but it has been an important co-factor. Death from chemicals can usually be regarded as poisoning. Is there any chemical that could have fatally poisoned ten million unsuspecting people in the UK between 1924 and the present time? There is only one chemical that has been considered seriously and that is cholesterol. The cholesterol story is long and confused. To qualify as a poison the dangerous effect of the chemical must increase with the amount ingested and with an increase in its blood level. Conventional wisdom is that these are true, hence the strong advice to minimise the cholesterol content of the diet and also of the blood. 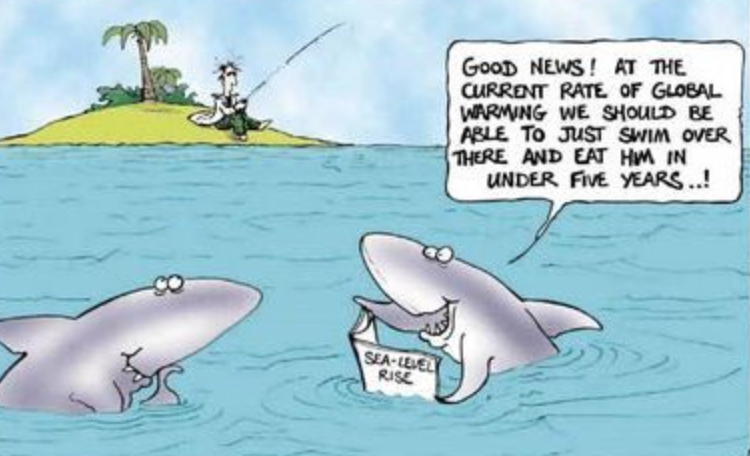 There are many reasons to doubt this conventional wisdom, especially from the Framingham study, and also the observations that above the age of 60 years a high blood level of cholesterol gives a very significant survival advantage. It is not possible to explain the onset of the CHD epidemic on the basis of dietary cholesterol or any other dietary constituent. Without diet the cholesterol story is lost. If allegedly poisonous cholesterol is endogenous (produced from within the body) the implication is that we are dealing with a genetic metabolic condition, but we have eliminated a genetic cause of an epidemic. The human body cannot be expected to synthesise a deadly poison on such a large scale. Similarly there is no dietary explanation for the sudden and rapid decline of CHD deaths after 1970. The 85% reduction of CHD deaths before the introduction of statins indicates that the rapid decline was not due to medical and public health interventions. Sugar is also stated to be dangerous to our health. There are great efforts now to reduce population-based sugar intake. This is at a time of exceptional low age-related death rates and increasing survival into very old age. The rise and decline of CHD cannot be attributed to sugar as a poison. The CHD epidemic cannot be explained on the basis of a chemical factor. The process of elimination is part of intuitive reasoning, as defined by Sir Karl Popper (1902–1994) and Sir Peter Medawar (1915–1987). Suggestions, hypotheses, are rejected when they do not explain the facts. Scientific reasoning is based on a process of falsification. We have rejected postulated genetic, psychological, physical and chemical causes of CHD. We now need to reject if possible the suggestion that CHD might be due to a micro-organism. If this is also rejected, we are back to assuming that the epidemic was the will of God! Microbial diseases can occur in epidemics, starting with the mutation or cross-species transfer of of genetic material in perhaps just a single micro-organism. Rapid cell division (many generations per day) leads to transmission that is exponential with progressive doubling, as is usual in biological systems. A microbial epidemic comes to an end when the population at risk has been reduced or protected, and when the remaining population develops immunity, either natural or by immunisation. "Herd immunity” occurs when acquired immunity is passed to the next generations and thereby spreads through the population. It gives partial if not total protection. When international travel exposes a population to a disease previously not encountered, then the lack of herd immunity can have devastating effects. For example, smallpox wiped out a large proportion of the population of the West Indies after the arrival of Europeans. The body’s response to attack by a micro-organism is defensive inflammation. If the micro-organisms are present in the blood, then the arteries are at immediate risk. LDL-cholesterol as lipoprotein is a first line of defence in the wall of the arteries, followed by the mobilisation of inflammatory cells, neutrophils, T-cells and macrophages. Production of specific antibodies follows as a secondary and lasting defence. The pathology of CHD is characterised by inflammation, and this is obviously compatible with an infective cause. 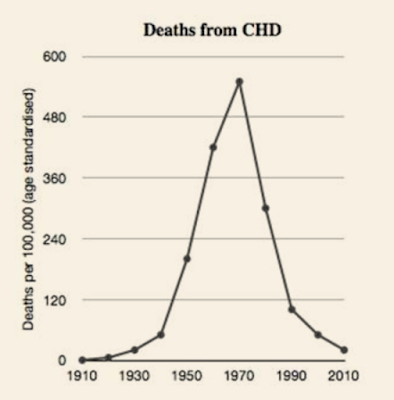 There is no obvious reason to reject the suggestion of a microbial cause of the CHD epidemic. There are heart diseases other than CHD are known to be caused by micro-organisms. 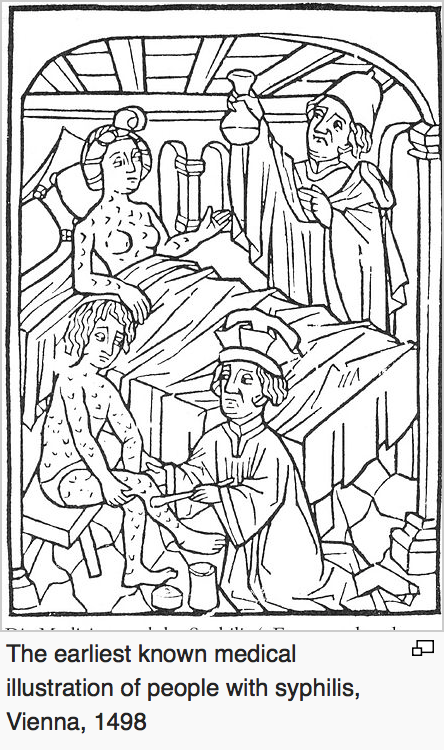 Syphilis was introduced into Europe by the crew of the ships of Christopher Columbus returning from what was to become known as America. Cardiovascular disease is a late manifestation of syphilis, like dementia (general paralysis of the insane – GPI) and spinal disease (tabes dorsalis – TD), and soft-tissue tumours (gummas). 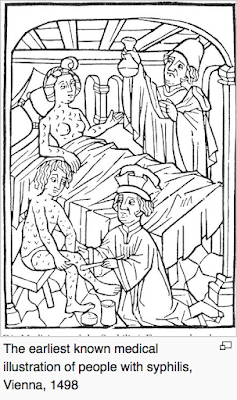 There is a long incubation period of many years between acquisition of the infection (primary lesion, or chancre) and the clinical manifestations of the serious diseases (tertiary syphilis). The cardiovascular diseases resulting from syphilis are aortic aneurysm (especially thoracic aorta) and incompetence of the aortic valve. This is the result of the bacterium Streptococcus pyogenes. The first phase of the condition is rheumatic fever, which usually occurs in childhood, and which can follow immediately after a throat infection (“Strep throat”). Again there is a latent period of many years before the clinical manifestations of heart disease occur. The form of the heart disease is damage to the heart valves, especially the mitral valve. Bacteria from the circulation can colonise heart valves that are either congenitally abnormal or much more commonly damaged as part of rheumatic heart disease. Artificial heart valves can also be colonised as part of the spectrum of endocarditis, also known as subacute bacterial endocarditis (SABE). Acute inflammation of the muscle of the heart, the myocardium, can be the result of a presumed or identified viral infection. It might present with palpitations, chest pain, or sudden shortness of breath due to heart failure (which can be fatal). The illness can follow an upper respiratory tract infection that is assumed to be due to a virus. Several viruses have been identified but usually no identification can be made. This rare condition has only been recognised since the original description in 1967 by Tomisaku Kawasaki. It occurs in young children and the initial feature is high fever with a rash. This suggests a viral cause but a definite causative virus has not so far been identified. The second phase of the illness is a vasculitis with inflammation of the coronary arteries, which can result in myocardial infarction that can be fatal. The pathology of the coronary artery lesions is different from that of CHD, but it is again inflammatory indicating that there are perhaps several coronary artery diseases. With a biological epidemic we are able to observe a characteristic pattern of a rapid and exponential increase of disease, the reaching of a peak, and then a similar rapid and exponential decline. In an epidemic such as influenza we expect the time-scale to be in weeks, if international the time-scale might be months. We do not expect epidemics to have a time-scale of years or decades, but there is no reason why not. 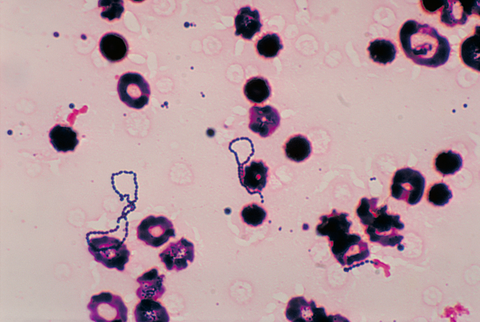 An acute illness such as a streptococcal throat infection or the primary lesion of syphilis following sexual contact will be obvious, but not the long-term effects appearing after a delay of years or decades. Although syphilis first appeared in Europe in 1493, it was only in 1875 that cardiovascular disease was linked to previous primary syphilis. 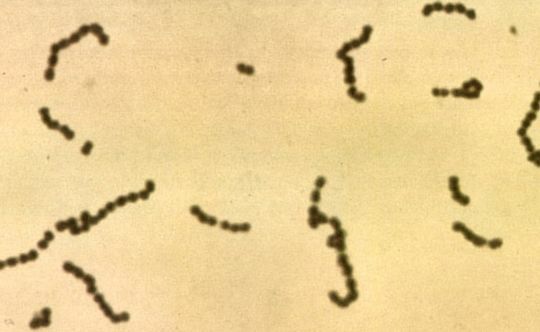 There was effectively an epidemic of syphilis and its long-term effects, almost coming to an end in the late 20th century, helped by penicillin and public health measures. The epidemic of “Spanish” flu immediately after World War 1 was obvious, serious, and international. 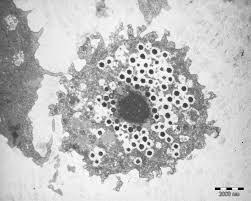 It is thought to have infected up to 500 million people across the world and was responsible for perhaps 50 million deaths. But less well-known was the epidemic of encephalitis lethargica, that occurred slightly later, up to 1926. It affected about five million people. Its cause is mysterious but a strong possibility, indeed an assumption, is that it was a result of the influenza virus affecting the brain. Research opportunities were not available at the time. The early pathological features of atherosclerosis and CHD can be recognised at autopsy performed on young men who have died as the result of trauma, road accidents and warfare (there has been a major reduction in the frequency and severity of these findings in recent years). It is many years or decades later that the clinical manifestations of sudden death, myocardial infarction, angina, left ventricular failure. The long latent period in the development of CHD is comparable to other heart diseases due to micro-organisms. This supports the suggestion that CHD might also be due to a micro-organism. There is nothing to contradict this suggestion. In the absence of an alternative viable hypothesis, we must assume that the microbial hypothesis of the causation of CHD is likely to be true. I have not indicated a specific micro-organism. 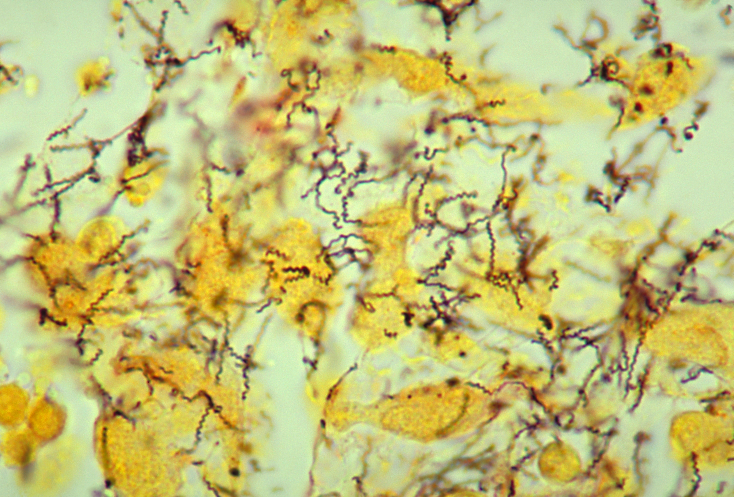 The microbial causation of a disease is based on epidemiology and the recognition of a pattern of disease. This is supplemented by a careful study of the compatible pathology of the condition. This will add to plausibility, as would comparisons with other diseases. The next stage, to identify if possible the specific micro-organism, would be the work of micro-biologists and other laboratory scientists. Once a putative micro-organism is identified, conclusive experimentation is limited by an ethical and understandable inability to undertake human transmission studies. We must remember that many microbial diseases have been accepted as having a microbial causation long before the micro-organism were identified. In recent years viral hepatitis was accepted before the various viruses (A,B,C etc) were identified. AIDS was accepted as being due to a virus before HIV was identified. Absolute proof is not possible. What we want is the best answer, and this is the normal scientific method. It will conform to Hill’s Criteria. If there is no animal model (and that is usually the case with human disease), then Koch’s Postulates cannot be fulfilled. There have been proposals of a micro-organism that might cause CHD. This will be the subject of a future post. "Global warming might be responsible for large numbers of deaths in the future,"
I'm disappointed that Dr Grimes lends credence to the global warming moral crusade. 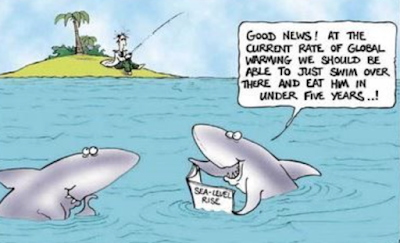 Why is the climate narrative to be trusted when the cholesterol narrative isn't? I can assure you there is a very convincing counter argument. My comment about "Global Warming as a possible cause of death in the future" was just conjecture. I agree that the Global Warming hypothesis is far from robust, even though it blamed for hot weather, cold weather, wet weather, dry weather.... need I go on? I am concerned about the environment, but the man-made direct effects, mainly deforestation. This produces the greatest "climate change" as soil is washed away and deserts appear. Sorry to give a poor example of possible physical causes of disease. The main point was that it would not be acceptable on a death certificate. Thanks for your comment, it makes life more interesting. antibiotics have been tested without success. This is an article that has long needed to be written. Thank you for writing it. It does not disappoint. 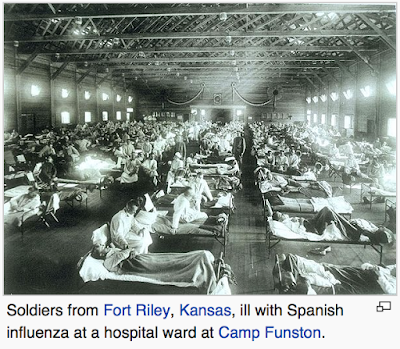 I have read that the coronary epidemic might lead back to the major flu scourge after World War1 - effects with a long lead time and even passed on to a second generation.